I love this Psalm. It’s short, but I could spend months reading through it’s rich treasures concerning the nature and attributes of our God. 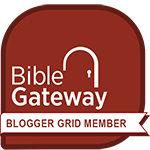 Over the next few Blog posts, I want to go through the Psalm’s 8 verses in short, devotional style posts. I have sometimes heard people quote this scripture in a way that makes it sound as though our help comes from the hills, perhaps this was because of the way some of the older translations of the Bible worded it ; I’ve even seen part of the verse written on wall plaques, or book markers saying something like “I will lift my eyes to the hills” and ending there! But the psalmist goes on to say that it is the Lord our God, who made those very hills, who is our helper. Why Do I Need To Lift My Eyes? Lifting my head – my eyes, even in trying circumstances is a heart statement in action. A statement of faith put into motion. James 4:8 tells us, ‘draw near to God and he will draw near to you’. It takes an action on our part – making the choice to draw near to Him and lift your eyes up to a Him wherever you’re at in life at this moment, and God will always respond.